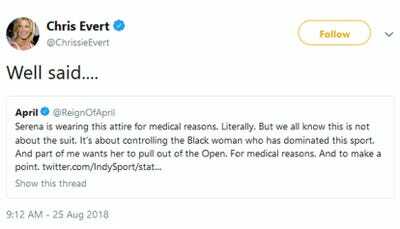 Clive Brunskill/Getty ImagesSerena Williams at the French Open. Nike responded to the controversial ban with a perfect response emphasising that it is not the outfit that gives Serena her superpowers. 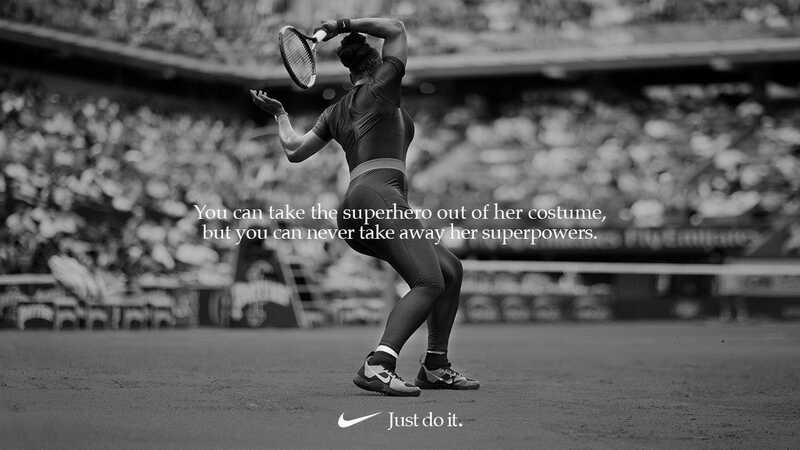 NikeNike posted an image of Serena Williams in her French Open catsuit with a powerful message. 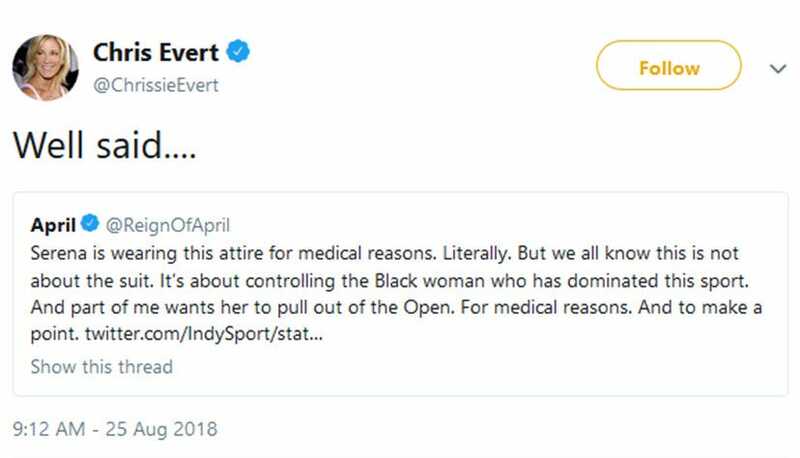 TwitterChris Evert and others have responded to the decision to ban Serena Williams’ catsuit from the French Open.